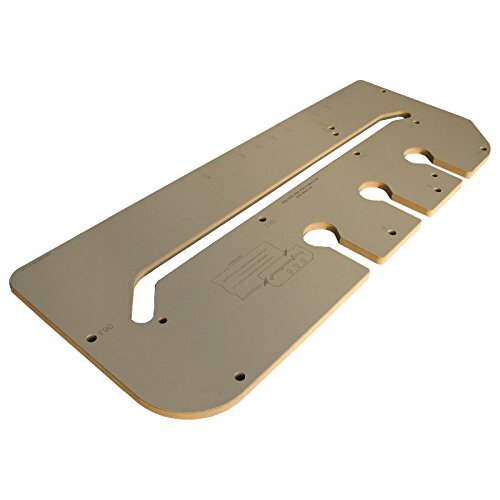 The Freud Worktop Router Jig is a laminate worktop jig, perfect for the Kitchen Fitter and keen DIYer. It has been machined on the latest CNC machine using diamond cutters for accuracy and a smooth finish. The jig is perfect for achieving 90 left/right hand joints and standard 22.5, 30 & 40 straight mitres. It helps to achieve corner solution cuts and has four different radii on corners. There are apertures for cutting three bolt holes and it can be used on the following sizes: 400, 500, 600, 616, 650 and 700mm. The jig is to be used with a 30mm guide bush and there are preset holes for worktop widths.